The Global Financial Crisis is acknowledged to be the most severe economic downturn since the 1930s, and one that is unique in its underlying causes, its scope, and its wider social, political and economic implications. 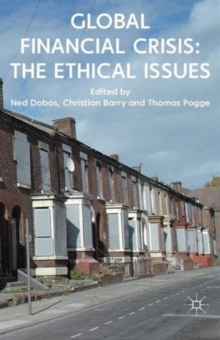 This volume explores some of the ethical issues that it has raised. Pages: 195 pages, VIII, 195 p.